As the music festival season is creeping around the corner, festivals around the world are gearing up and beginning to announce their lineups one at a time – and Welcome to Rockville is no exception. Earlier this year, the rock festival expanded from a two-day event to a three-day event for the first time, and it paid off with the festival receiving a sold-out crowd of 90,000 people. Some of the most prominent bands in attendance included the Foo Fighters, Avenged Sevenfold, Queens of the Stone Age, Hollywood Undead, Black Veil Brides, The Used, and the acclaimed Ozzy Osbourne. 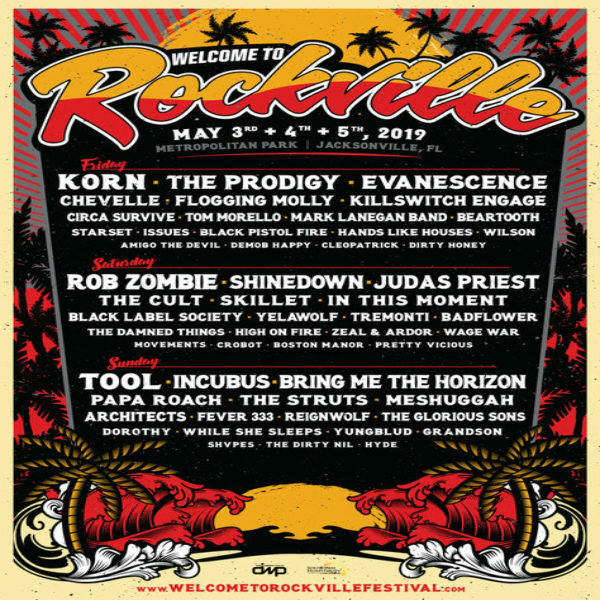 The 9th annual Welcome to Rockville festival will take place next year at the Metropolitan Park in Jacksonville, Florida from Friday, May 3 to Sunday, May 5. The headlining acts for their 2019 lineup will include the bands Korn, The Prodigy, Evanescence, Rob Zombie, Tool, and Bring Me the Horizon. Festival attendees will also see Circa Survive, Beartooth, Issues, The Cult, High on Fire, Movements, Papa Roach, Dorothy, and Hyde alongside the headliners. By the time Rob Zombie hits the stage next year, fans might be jamming out to new, original music from his seventh solo studio. 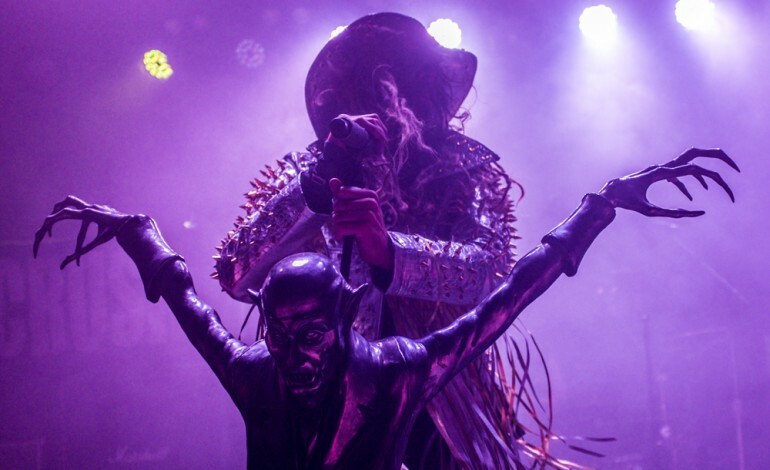 While co-headlining the “Twins of Evil” tour with Marilyn Manson this summer, Rob Zombie confirmed that his newest record was already completed with an unofficial release for 2019. He mentioned that this was “the best record we’ve ever made” and it takes influence from his favorite Beatles album, the 1968 The White Album. English rock band Bring Me the Horizon will also be sharing new music for their fans as we approach the new year. The band will start off the new year by releasing their sixth full-length record titled amo on January 11 2019 through Columbia Records. And in order to promote the new album, BMTH will embark on the “First Love” North American Tour. It’s a short tour that will begin on January 23 in Nashville, TN and end at Las Vegas’ The Joint at Hard Rock Hotel & Casino on February 16. The Prodigy, an English EDM group, have also made some strides in putting out music. Just last month, the band released an album titled No Tourists that gives the listener a blend of aggressive, dubstep flavor. The band will also be partaking in another festival, alongside BMTH, at the MAPFRE Stadium in Columbus, Ohio on May 17, 18, and 19 of next year. General Admission and VIP tickets will go on sale Friday, December 7 at noon EST. The VIP tickets will grant festival goers a VIP entrance to the venue, access to an exclusive lounge maintaining bar, beverage, and food services, a clear view of the main stage, private restroom facilities, and a laminate just for VIP guests. To purchase tickets for the Welcome to Rockville festival, go to their official website to learn more.